London Ontario Real Estate Mirroring the Greater Toronto Area? Is the London Ontario real estate market mirroring the Greater Toronto Area (GTA) in multiple offers, no conditions and overpaying for a house or a condo? We are getting real close! When you see a house listed for sale in London for $375,000 and it sells in one day with 6 offers and the offer that was accepted with no conditions and a price of $425,000, sound similar? When you see a condominium townhouse listed for sale at $149,000 and it sells in one day with 9 offers and the offer was accepted with no conditions and a price of $165,000, sound the same? When you see a house listed for sale in London for $626,000 and it sells in one day with 4 offers and the offer that was accepted with no conditions and a price of $689,000, we’re getting there! What about the 157 houses for sale that have been on the market for close to 60 days and they have not sold? What about the 63 condo townhouses or apartment condos that have been on the market and they have not sold? What about the 518 properties that have sold in the London and St. Thomas Association of Realtors (LSTAR) MLS area for an average 99.1% of the listing price from January 1, 2017 to today , January 24, 2017? To answer the first sentence, though not experiencing the dollar amounts that the GTA experiences, over pricing is occurring, buyer frenzy is occurring and financial prudence seems to be a concept that is not adhered to. I council my home buyers to be cautious, keep your emotions in check and what happens if you move in 3-5 years from now, will the rest of the properties on your street or in your apartment building or townhouse complex catch up on price? For my sellers of property, price it right, show it right and market it right and you will be packing real soon! London Ontario Income Property Tenant Woes? If you own income properties in London Ontario, you probably have had a few tenant woes in the past or have heard of war stories about problem tenants, and in most cases these stories involve losing time and money. The 80/20 Rule, also known as Paretto’s Law, states that for many events, roughly 80% of the effects come from 20% of the causes. In rental real estate, this means that the majority of problems come from a very limited number of factors. I would actually take this further with rental real estate and say that 95% of problems come from selecting the wrong tenants. I googled “How to find and screen tenants” and found 592,000 searches on the topic, yet some landlords keep having tenant woes and if you do, do you not think it is time to change how you do things? I had one landlord say to me that paying $20-$25 for a credit check is expensive! 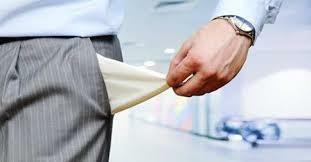 What does 3 months cost of trying to end a tenant residency? Consistent tenant woes are like being overweight, you don’t get fat overnight! Eating a cheese burger and fries today will not make you fat overnight but overtime, it will. The same with a tenant, lack the discipline and the ‘how’ to screen tenants and the only weight loss you can expect is a lighter wallet and if you keep it up, you’ll lose sleep as well! I should point out that some tenant woes are quite valid with some landlords & fortunately for me, those landlords do not read blogs, wash behind their ears or ask me to help them with buying or selling properties in London Ontario. Most investors who want to sell any of their income properties in London Ontario and area, want to sell for the absolute highest price that the market will pay. That is not usually the case though. Canadian statistics show that properties that sell the quickest sell for the most money!The very same elements that make a property sell quickly also make the property sell for the most money. But few investors know about these essential elements, let alone most sales people. And,as a consequence, unknowingly, sellers are leaving money on the table at closing, or wasting time selling their properties. In years of working with income properties, I’ve learned a few things on how to sell income properties quicker and for money. This audit is not like those simple market statistics Realtors or appraisers give you. It’s a complete audit of your property, from top to bottom, revealing the elements that affect a full price and a quicker sale. I’ll inspect your property from top to bottom to reveal the true problems affecting its successful sale: from specific condition issues, through lot sighting, property sighting, construction quality, schools and location. I’ll show you how to minimize the impact of negative property elements, and promote the positive features, so you can get the very most money for your property. How can I do this? Because selling investment properties is not like selling ordinary real estate, there are skills & tools involved that most residential sales people do not have. And unlike others, who will tell you anything just to get your listing, I’ll show you exactly what your property is worth with a reliable, real world analysis. No fancy figures. No hard sales pitches. Just the facts, the brutal truth, whether you want to hear it or not. There’s one more thing! There is absolutely no fee for this, you are under no obligation what so ever and you do not have to sign anything. I get an opportunity to meet you and see the property, you are able to evaluate if I’m full of s**t or not and if we both think together that we can market your property and sell it, then you may hire me. If not, you get some insights you may never ever get and I go away empty handed and ride off into the sunset! 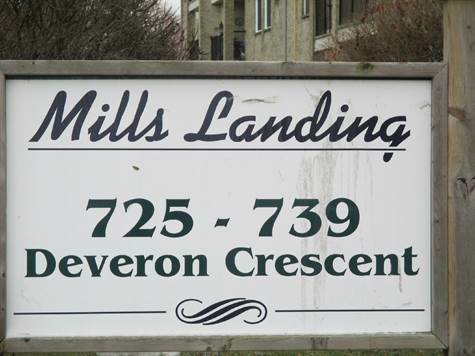 Condo for sale London Ontario for only $119,900 in Pond Mills, a beautiful updated 2 bedroom Mills landing condo apartment in a well maintained & managed property. Freshly decorated in neutral tones, new kitchen and bathroom in November 2016, ceramic floors in kitchen & bathroom, laminate in living/dining room & hallways. Lovely gas fireplace for economical heat and comfort in the living room and patio doors to the balcony. 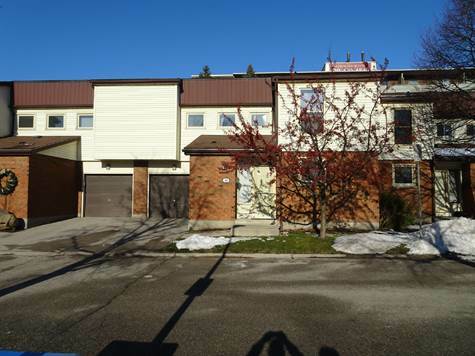 6 appliances and window coverings are included with easy access to Veterans Memorial Parkway, shopping and on a bus route.Condo fees include water. A great salt water pool is on the grounds and an exercise center in the building across. 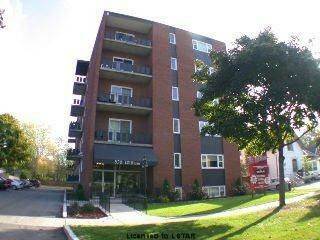 The condo fees include water and with the combination gas fireplace and electric heat, hydro is around $100 per month! Price a London Ontario House High , Accept Less? That thinking may have worked years ago but in today’s real estate environment, home buyers have a tremendous amount of information by just a few clicks of the mouse, today’s buyers know prices and if you list a house or condo for sale in London Ontario too high, it could really cost you! When a home seller interviews a Realtor, it’s easy to get caught up in the excitement of choosing a sales price. If a seller can get more money for the home, it means more financial opportunities for them. Unfortunately, uninformed sellers often choose the Realtor who tells them they will list it at the highest list price or worse, the lowest commission. This is, by far, the worst mistakes a home seller can make. The reality is that it doesn’t matter how much money a home seller thinks their home is worth. The only person whose opinion really matters is the buyer who is going to make an offer, and of course, the appraiser. Pricing a house is part science and part art. It involves comparing similar houses in similar neighbourhoods of London, making the necessary adjustments for the differences between them, charting market movements and measuring the amount of housing inventory, all of this in an attempt to help determine a range of value. This is the same method appraisers use to evaluates a house. No two appraisals are exactly the same; they are however, generally close to one another. There is no hard and fast way to just stick a price on a home in London Ontario and area. Houses sell at a price a buyer is willing to pay and a seller is willing to take. If a house is priced too low the seller should expect to receive multiple offers and drive up the price up to the market value. There is not much danger in pricing a home under its actual value and your competition. The danger is in pricing a house or a condo too high and having the home sit on the market for weeks, even months. The home seller did not interview more than one Realtor. They may have picked the first Realtor off the Internet because they have a very low commission fee, or was recommended by a friend or a co-worker The first Realtor priced their house at $395,000. After 90 days of sitting on the market, the listing expired. The next Realtor they hire goes and lists the house for $375,000. A few week pass and eventually the price drops to to $365,000 and still no offers. A few people looked at the house, but no serious buyers came forward. The home seller and Realtor then price the home at $337,000 and sold very quickly. The sad part is that the comparable sales in the neighborhood fully justified a price of $355,000, but the home had been on the market for too long at the wrong price, and now the market had slowed. The question is how much money does an expired listing cost the homeowner? The financial losses often exceeds the extra mortgage payments paid and goes beyond the cost or the hassle factor of trying to keep a home spotless during the listing period. It affects the value that a buyer ultimately chooses to pay because it is no longer a “fresh” listing. It’s now stale, dated, a home that was overpriced for too long. Don’t let it happen to you. Don’t be that seller of an expired listing. Be sure to hire a professional Realtor to price your home correctly from the beginning. Even with the London Ontario real estate market booming at the present time, the above still happens! Most houses and condos in London are selling for close to full price or more and within 2-3 weeks and yet, there are hundreds of properties that have been on the market for over 76 days! London Ontario real estate sets record for 2016 and I have included the last 10 years of stats , will 2017 be another banner year? Stay tuned. The London and St Thomas Association of Realtors (LSTAR) announced 2016 was a historic year for real estate, with residential sales surpassing 10,000 for the first time. In 2016, a total of 10,193 homes were sold, up 8.8% from 2015. In 2016, a total of 8,260 detached homes were sold, an increase of 9.2% over the previous year, while there were 1,933 condominium sales, up 7.2% from 2015. St. Thomas Ontario had another strong year, with a total of 854 homes sold, up 2.9% from the previous year. The average home price in St. Thomas was up 7.7% over 2015, at $233,476. You can search all the houses and condos for sale in London Ontario and area here. The best-selling house style in 2016 continues to be the two-storey, followed by the bungalow and ranch. The average price for a detached home in 2016 was $297,480, up 5.4%, while the average price for a condominium was $200,335, up 5.6%. The average price of all homes sold in 2016 through LSTAR’s MLS® was $279,057, up 5.5%. The table below is based on data taken from the Canadian Real Estate Association’s (CREA) National MLS® Report for November 2016 (the latest statistics available). It provides a snapshot of how average home prices in London and St. Thomas compare to other major Ontario and Canadian centres. If you like numbers and stats, here is a 24 page report including a breakdown of sales by type, by year, by dollar amounts and the following. How MOTIVATED Is the Seller And How MOTIVATED Are YOU? If the house has been on the market for over a month, perhaps it’s because the seller hasn’t been motivated enough to sell. Or perhaps by now the house hasn’t sold and he/she is very motivated. Or, they are fishing for a price, or; (in most cases) by the time they pay off their mortgage and other debts, there is no money left at a reduced price! And if you’ve been transferred, have your home listed and you wish to downsize, or another child on the way and your house is too small, or your neighbourhood is a proctological pain, or you’ve had it with your landlord, you may be very motivated to buy! If your heart is racing about the home, if you can’t hold back your emotions when thinking about the home, then you’re not going to do well when negotiating the purchase price. And, in some cases, money may not be the issue; it could be the layout, neighbourhood or perceived lifestyle. 1. Take a look at the currently active (for sale) listings in the area. Was the house you’re considering priced within reason to other homes? If so, you know you’re at a reasonable starting point. 2. Now, take a look at what the average selling price is compared to the listing price. You may notice that most houses in London are selling for asking price or about 1-3% less than their offer price. If that’s the case, you know the original offers were LESS than this amount. Take this into consideration when making your offer. 3. Now, make sure you visit several of the other listings in the area. How does your choice compare to the others on the market? Is the home you’re considering in similar shape? Is it better sited? Is it bigger, smaller, better style, better landscaping, etc.? These factors will help you determine how much you should pay for your home vs. how much others paid for similar homes in the neighborhood. 4. Now, take a look at the average market times for listings in the area. If they’re long (evaluated on a market by market basis), the market may be soft, and you might have more negotiating room with your offer. You’re now ready to make your offer. This is where strategies come into play and is one of the most important steps in the buying process and this is where most either overpay or not get the home they want because of poor negotiating ( see my 10 real estate negotiating musts) and upset everyone or lose lots of sleep!